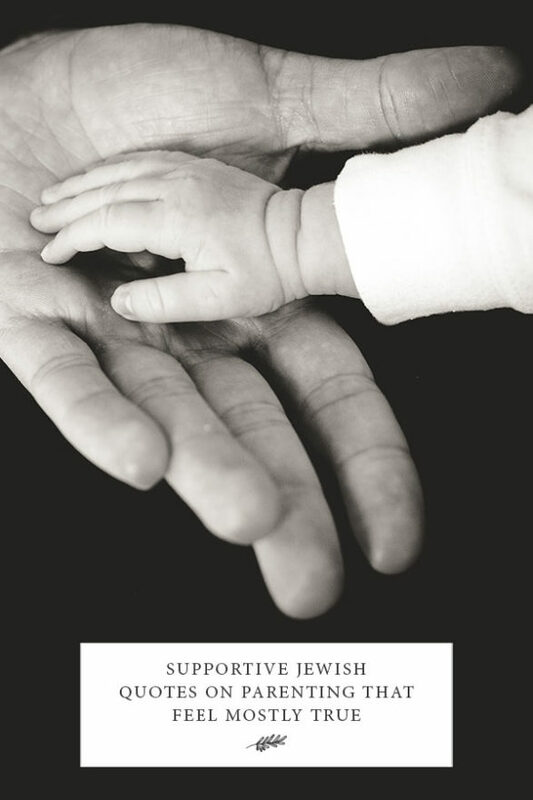 Here are Jewish quotes on parenting to inform and inspire our self-understanding and actions. At every age, our feelings and thoughts about our parents shifts as we learn more about our parents as individuals and increase our own self-understanding. If we have our own children, how we see and feel about ourselves as parents evolves as we learn to care and love our children. One thing is constant: there is a deep and unequivocal attachment between parents and children. May these quotes support and inspire you in your role parent and child. One final note: The quotes from classical Jewish texts sometimes refer specifically to a “son” or a “daughter”, and other times refer to “children”. In some cases, it may be helpful to apply the general idea of the quote to both sons and daughters and other times not. The point is that we strive to distil and learn from the varied texts of our tradition. In disputes between parents and children, the children always get the upper hand. Little children are a headache and big ones a heartache. And you shall love the Lord your God with all of your heart and all of your strength and all your might. And these words which I command you today shall remain in your heart. And you shall teach them diligently to your children and speak of them when you are sitting in your home and when you are walking on your way and when you lie down and when you rise up. No rain without thunders, no children without pangs. Children aren’t stupid, and they feel valued when we treat them with respect. Train up a child in the way he should go and even when he is old he will not depart from it. Despise not your mother, when she is old! A daughter only tells her secrets to her mother. to circumcise him, to redeem him, if he is a firstborn, to teach him Torah, to find him a wife, and to teach him a craft or a trade. Never promise something to a child and not give it to him, because in that way he learns to lie. When you teach your daughter, you teach your daughter’s daughter. Jewish wisdom holds that our children don’t belong to us. They are both a loan and a gift from God, and the gift has strings attached. Our job is to raise our children to leave us. The children’s job is to find their own path in life. If they stay carefully protected in the nest of the family, children will become weak and fearful or feel too comfortable to want to leave. Your turn: Which quotation means the most to you in this season of life?